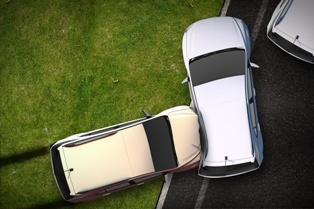 How do Drunk Driving Accidents Differ from Other Accidents? Crashes caused by drunk drivers can be devastating. There is simply no excuse for someone to become intoxicated, then get behind the wheel, yet it continues to happen in South Carolina. Not only do these wrecks tend to be more severe, they are also different legally. Here’s what you should be aware of if you’ve been injured by a drunk driver. One of the biggest sources of confusion after a driving under the influence (DUI) accident involves the difference between civil and criminal cases. It’s true that driving under the influence is a crime, and civil authorities will pursue drunk drivers in order to carry out the law. However, the criminal case does not address compensation for items such as medical bills. To hold the driver - and their insurance company - financially responsible, you will need to file an insurance claim, and potentially a lawsuit in our civil courts. It’s a common misconception that you can’t sue someone who is facing criminal charges. Nothing could be further from the truth. The civil and criminal justice systems function independently of one another, and you absolutely can bring a civil action against someone who is being prosecuted criminally. Being convicted and in jail affords no protection from a civil suit. However, a conviction isn’t necessary to begin your civil case, as the standards of evidence in civil court are different than criminal court. Moreover, an acquittal or dismissal of the criminal charges in no way impacts your ability to hold the drunk driver accountable financially under South Carolina's civil system. Put simply, the criminal and civil DUI cases are completely independent of each other. After an auto accident, you may seek "damages" for expenses such as hospital bills, physical therapy, lost wages, diminished earning capacity, repair or replacement of your property, physical pain, lost quality of life, and more. In addition, punitive damages may also be sought against the drunk driver. Punitive damages are designed to punish particularly bad behavior, as well as provide a warning to anyone in the future who may commit similar acts. Punitive damages may be awarded to victims when the accident was caused by gross negligence or recklessness, which is inherently present in drunk driving accidents. If you’ve been injured in an accident that was caused by a drunk driver here in South Carolina, the Law Office of Kenneth E. Berger is here to help. We represent those who have been hurt, not drunk drivers, and we can help you navigate the complex world of insurance companies, personal injury lawsuits, damage awards, and medical liens. To schedule a free consultation with us, please call our office, use the contact form to send an email, or click the live chat box on this page. Our office is conveniently located in Columbia, and we serve a wide area across the entire state, including the Lexington, Greenville, Charleston, and Myrtle Beach areas. For answers to questions you have about car accidents and DUI issues right now, please download our book, “Safety First, Justice Always: Your Guide to South Carolina Auto Accident Law.” It’s completely free and can help you understand your rights as a victim after a crash.